I was absolutely amazed by this recipe, I had no idea how it was going to work out, one of those times where I just mixed together what I had with an idea in mind of what I wanted. They have something here in Dublin, called Almond fingers, I have seen them in Holland too. And I was really really craving them the other week. I can't even describe them, soft and cakey, yet almost like marzipan. When I was a teenager, my brother and I used to buy a packet every so often, we made sure to make them last, just one per day at about 4pm with a cup of tea. I looked forward to it every day. These bars are not exactly like an almond finger, but it is close enough for me and I am so happy with it. It passes my test, and I'm pretty stringent. 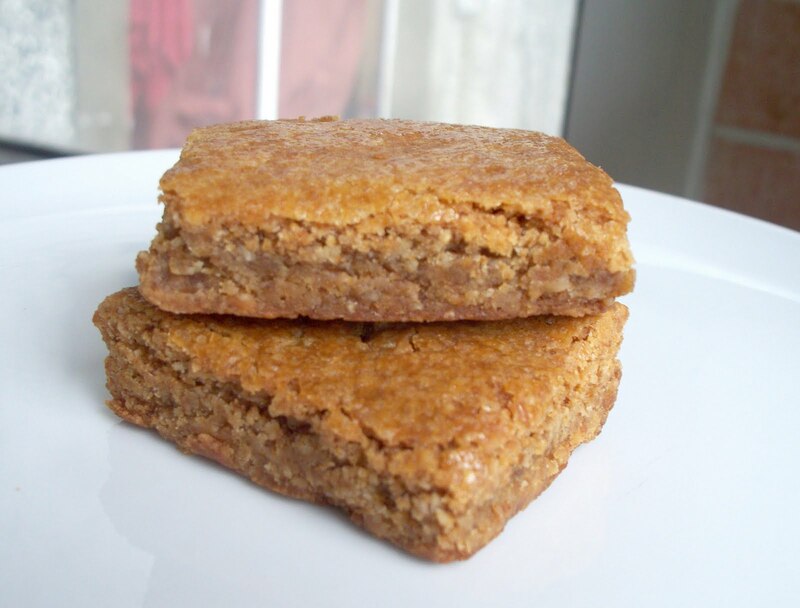 Now I can make a new tradition with these Almond bars, soft and moist, with a bit of a gooey chew, and a lovely sweet almond flavour. And it is incredibly easy to make. 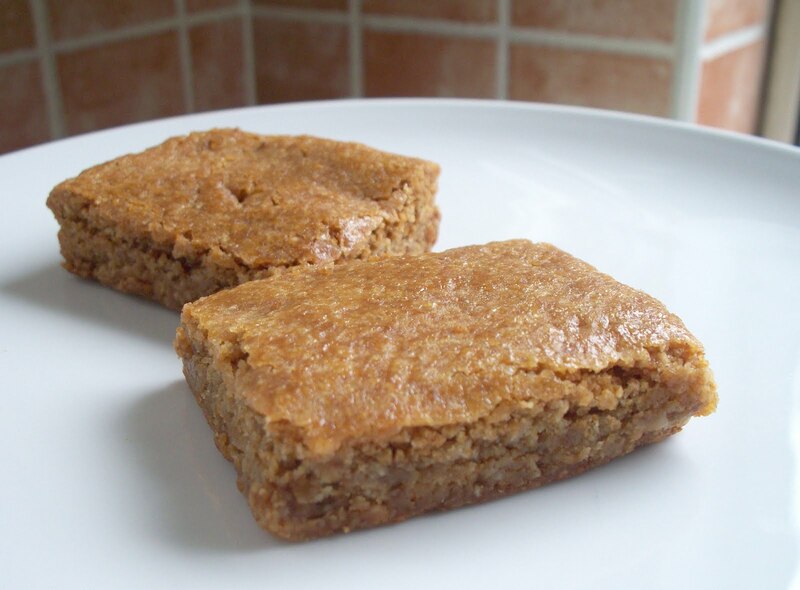 2) Mix almond, caster sugar and soya milk into a paste. 3) Add margarine and oil and cream together. 4) Add demera sugar, golden syrup, vanilla and almond essence and mix until smooth. 5) Combine flour, salt, baking powder and soda in a separate bowl. 6) Add to mixture and combine well. Depending on the flours you use you may need to add more flour. You want quite a thick cake like batter. 7) Bake in the centre of the preheated oven for 45 mins. 8) Remove from oven and brush while still warm with melted golden syrup for a sticky top.